At the reception we select the fresh legs according to the compliance criteria and before starting the process we leave them at a temperature of 0° C /+3° C to tone the meat. 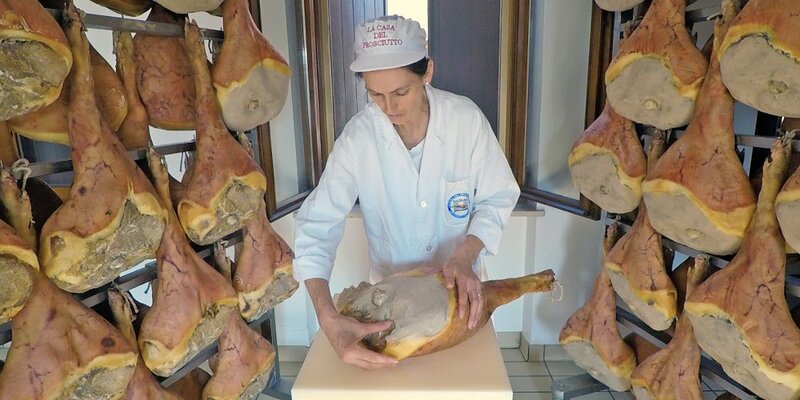 Each thigh is then trimmed, in order to assume the traditional form of the San Daniele and is than hanged in different frames based on their weight to allow a targeted processing. After the initial selection we cover them by hand with sea salt and leave them “in salt” following the rules of tradition, according to which the days of salting must be equal to the number of kilograms of weight of the thighs. 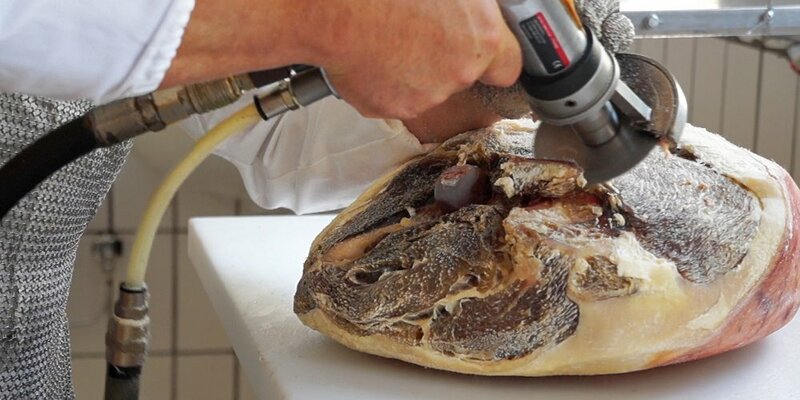 In the middle of this first phase, we massage the meat to make the salt penetrate into the muscle fibers and then we cover them with more salt, with which they will stay in contact until the end of the first phase. 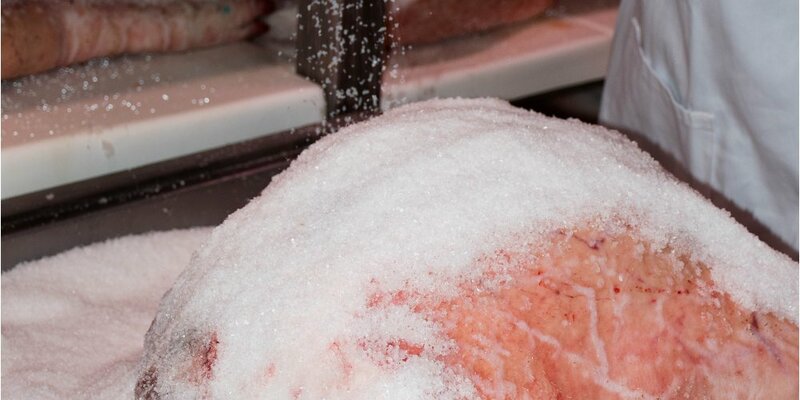 After having spent the corresponding days of salt, the thighs are desalted and placed on horizontal shelves, forming homogeneous piles. In this way, we press the muscular masses uniformly in order to give them an optimal consistency for the subsequent curing phase. After pressing, the thighs remain for a period of 90 to 150 days in a series of cells called ‘resting’. 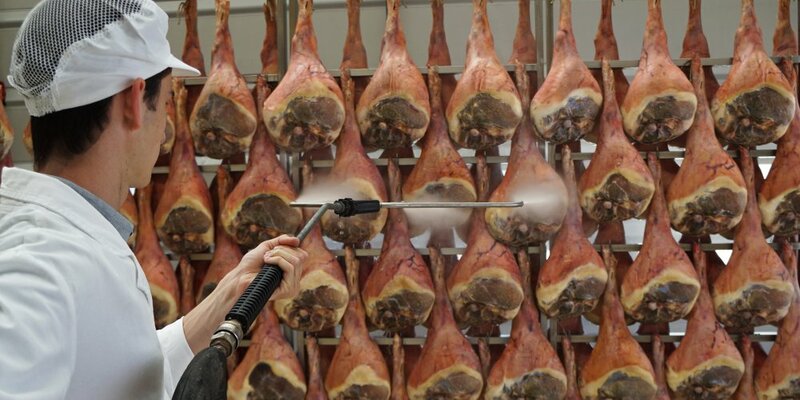 At this stage the ham must dry out slowly without the surface becoming excessively dehydrated. 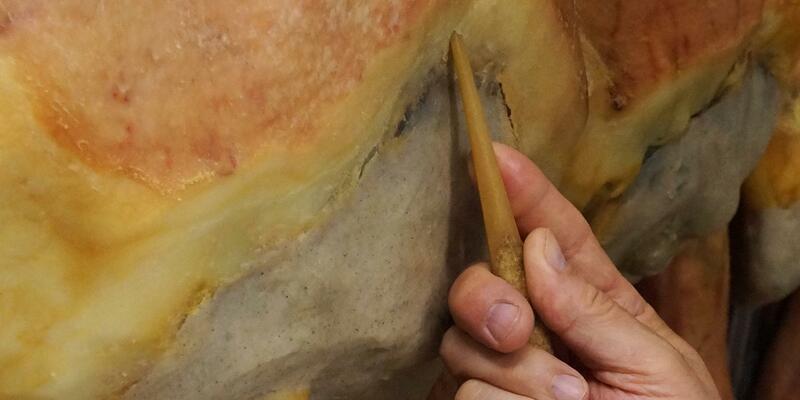 During the resting phase we cut the emerging part of the bone (called “anchetta”) with a circular hacksaw and then with the help of a knife we clean the excess meat, giving a more harmonious shape to the ham (avoiding grooves that they could cause a stagnation of water with consequent proliferation of bacteria). 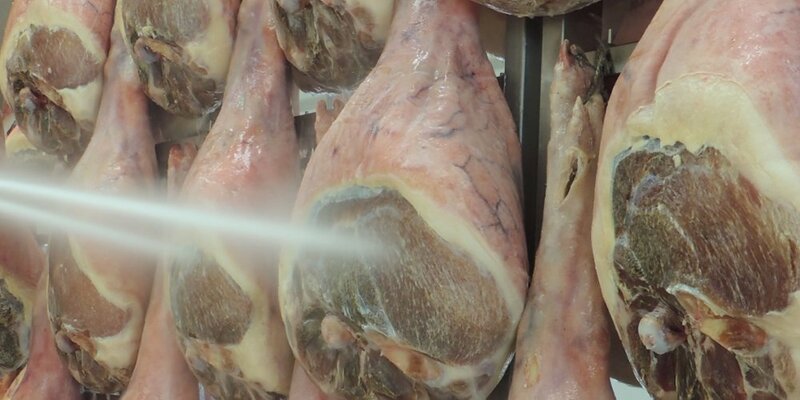 Reached the 4 months from the initial introduction, the hams are washed with water under light pressure, thus eliminating the superficial impurities and the residual salt. After the washing, we leave the thighs for about two weeks in a drying cell heading them toward the pre-maturing stage. The “larding” is done manually at the seventh month from the initial introduction with a mixture of pork fat and salt. The purpose of this working phase is to soften the superficial muscular layers both to avoid a quick drying compared to the internal ones, and to allow a gradual loss of moisture. 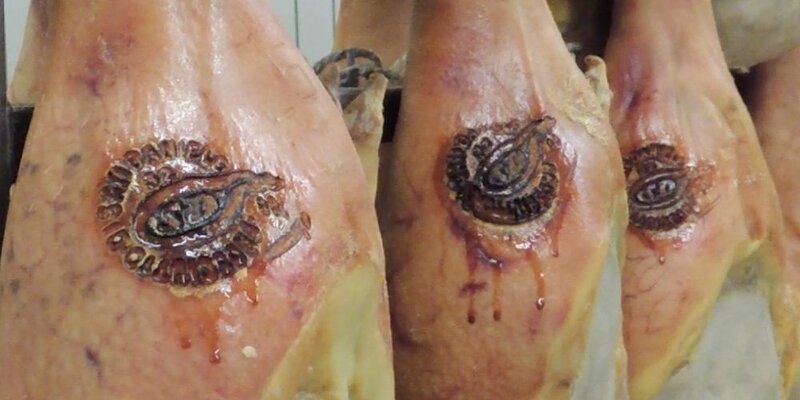 Once covered with lard, the hams are left in the pre-aging rooms, where temperatures slightly rise to prepare the product to the long phase of aging. 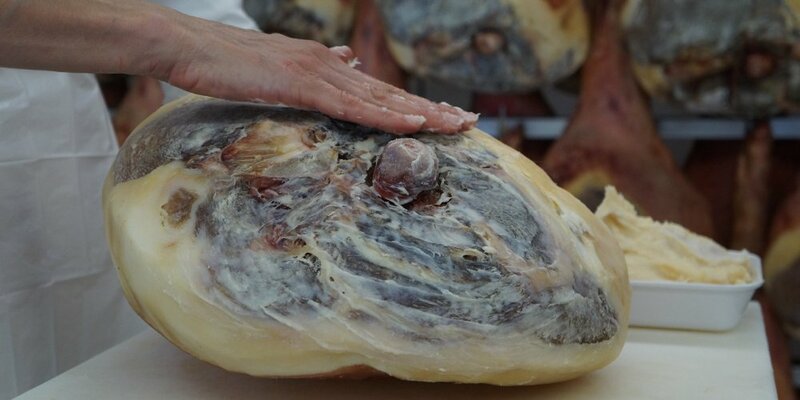 The “plastering” is done manually after ten months of production with a mixture of pork fat, salt, pepper and rice flour; with this mixture the part of the ham not covered by the rind remains soft. After this processing, the thighs remain in the aging rooms, taking advantage of the natural winds of the moraine-hill area of San Daniele, and will be able to continue the maturation process until the final shipment. An ancient and typical gesture of an olfactory evaluation of the ham is that of “planting”. For this purpose we use a horse-shank bone which, thanks to its particular porosity, retains the scent of the muscular mass in which it is inserted. 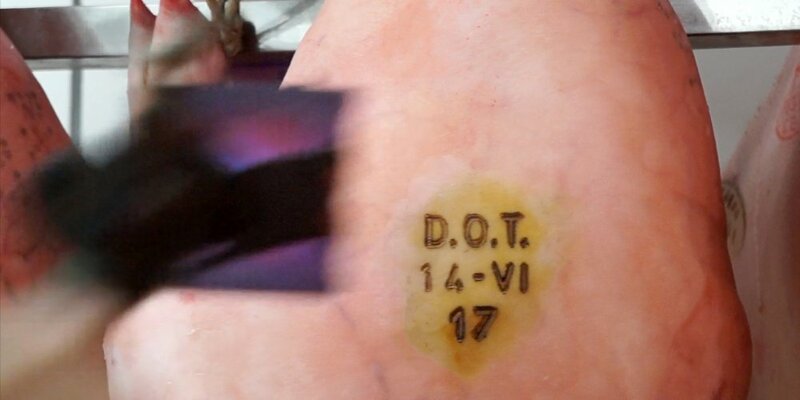 The surveys must be performed in 5 points of the ham corresponding to the internal veins, where possible residual blood could ferment. The bone should not penetrate deeply, but should be pushed slightly (about 2 cm) and should be sniffed immediately. Only the thighs that have the right aroma overcome this phase and continue towards the branding. At the thirteenth month from the initial introduction, the INEQ (a certification institute), performs the final checks and then authorizes the affixing of the San Daniele brand. 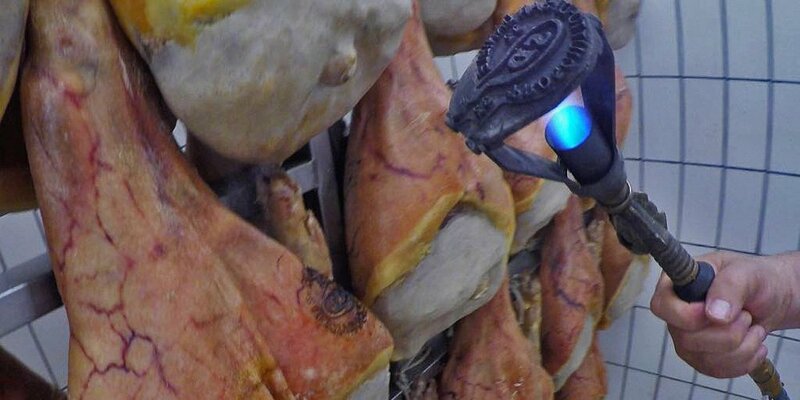 The hams, after having received the final branding, are kept in our historical rooms specially created in the heart of the San Daniele hill, in a natural environment that gives an added value to the Alberti ham. 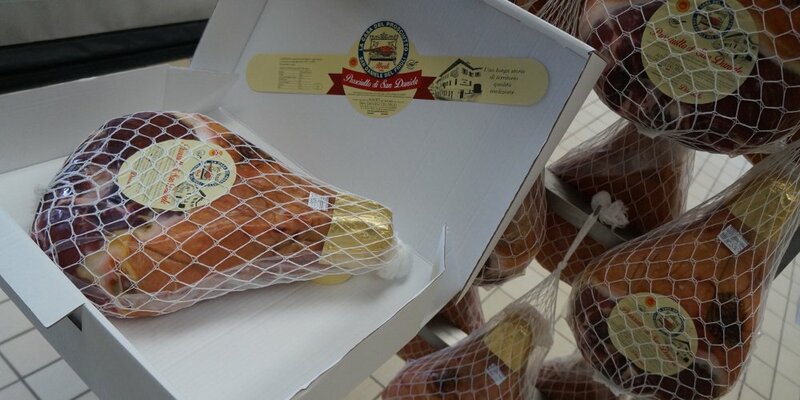 At the end of these phases, the ham is packaged for sale according to the customer’s needs.